Linnie Blooms Design Team Blog: Hold Your Notes in Place with this ADORABLE Recycled Mixed Media Magnet! 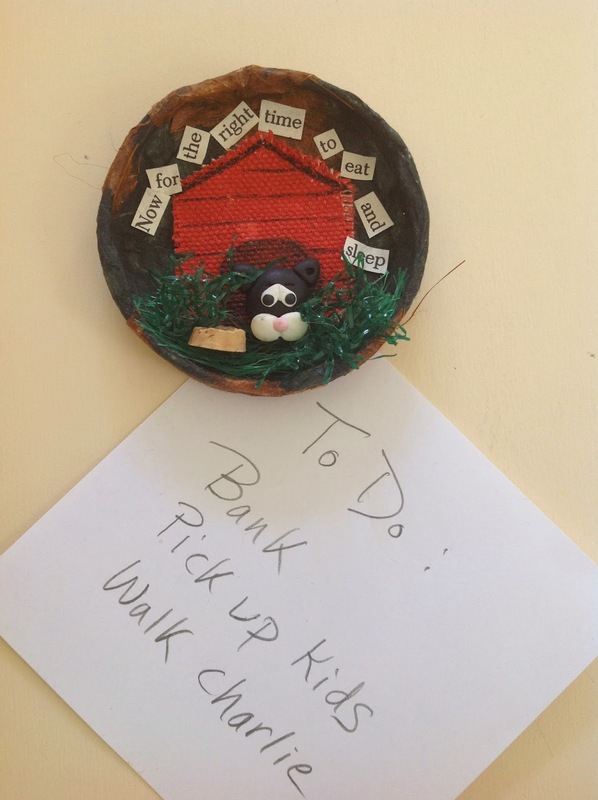 Hold Your Notes in Place with this ADORABLE Recycled Mixed Media Magnet! BASE: Using Mod Podge, attach small torn strips of tissue and/or decorative paper to the lid. Note: Make sure all surface areas are covered. Dry completely several hours or overnight. DOG HOUSE: Apply Paprika glaze over small pocket; dry slightly. Using brown, paint oval doorway as shown; dry completely. Use the marker to draw a line around doorway and define the roof and wood planks. Glue onto inside center of lid. 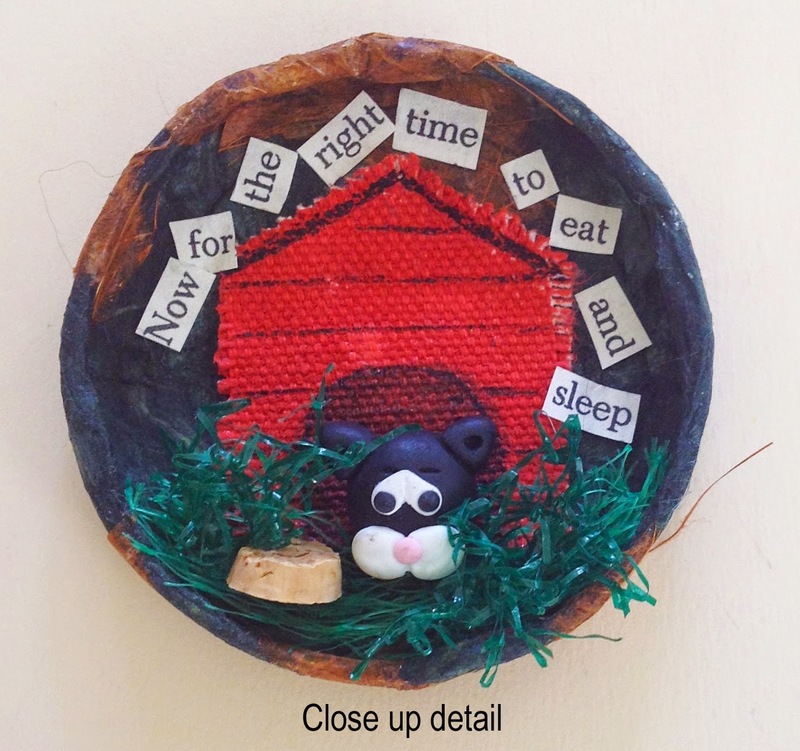 MIXED MEDIA COMPONENTS: Glue dog, netting, cork section and words as shown. Glue magnet to back of lid. Visit the Linnie Blooms Page on Facebook and our Board on Pinterest! Very cute way to hold notes. Great way to show the versatility of the canvas shapes and how they can be interpreted in multiple ways!